The new ‘Centre of Excellence’ already boasts one of the world’s most advanced gummy production line designed to meet demand from global markets. Sirio Pharma has announced the opening of a gummy production plant at its new development and manufacturing facility in Ma’anshan (300 km West of Shanghai, China). This announcement comes 11 years after SIRIO opened its first gummy facility. The new site will be built in several phases and form a ‘Centre of Excellence’ covering an enormous 240,000 m2. Phase Ⅰ of the site’s construction has just been completed and features a 26,000sqm gummy production plant and its associated building – designed to expedite development and manufacturing of gummy formulations for global customers. 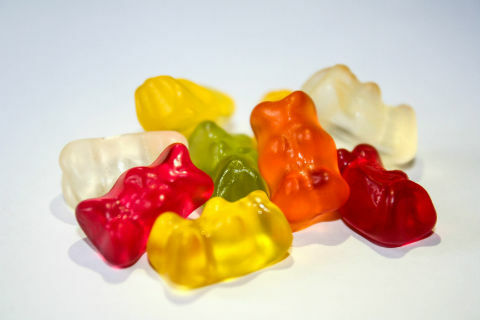 “In the US and Europe in particular, there is a significant growth potential in gummy formulations – as they are seen as a more consumer-friendly dosage form. For many of the branded firms looking to enter this market early with customized formulations, we offer clear advantages. We can expedite development and even offer taste testing options during formulation. Alternatively, we also offer ready-to-go formulations for companies that are looking to enter the market quickly – because we have one of the largest ranges of existing gummy formulations of any global business. But as consumers become more discerning, we anticipate branded companies will increasingly need specialist gummy development partners and capabilities,” said Rui Yang, CSO of SIRIO Pharma. The gummy production plant features integrated R&D and will increase production capacity to 2.4 billion gummies per year. SIRIO also expanded its ability to make innovative products such as liquid-filled, centre-filled, swirled and multicoloured gummies. In addition, SIRIO has hundreds of standard gummy formulation options suitable for market launch in the US and EU, and vegetarian options including carrageen and pectin, as well as sugar-free and low-sugar options. “The advantage of running an integrated site is that we can develop a much more tailored product for customers, while also expediting development timelines, thanks to a large team of in-house gummy specialists - more than 10 scientists and formulation engineers dedicated to gummies. We anticipate exponential growth for the gummy lines in 2019. And obviously, with the new capacity we have, we can supply even for the largest of nutraceutical brands,” said Rui Yang, CSO of SIRIO Pharma.